Here are some subjective abstract paintings, take a look you’ll know what I mean, some seem more abstract than others but the subject is the story behind them. When I worked as an archaeologist in Opal WY (Exxon Sour Gas Plant on BLM land) my job was to draw cross sections of the dunes where we were working. This painting recalls that time and work. 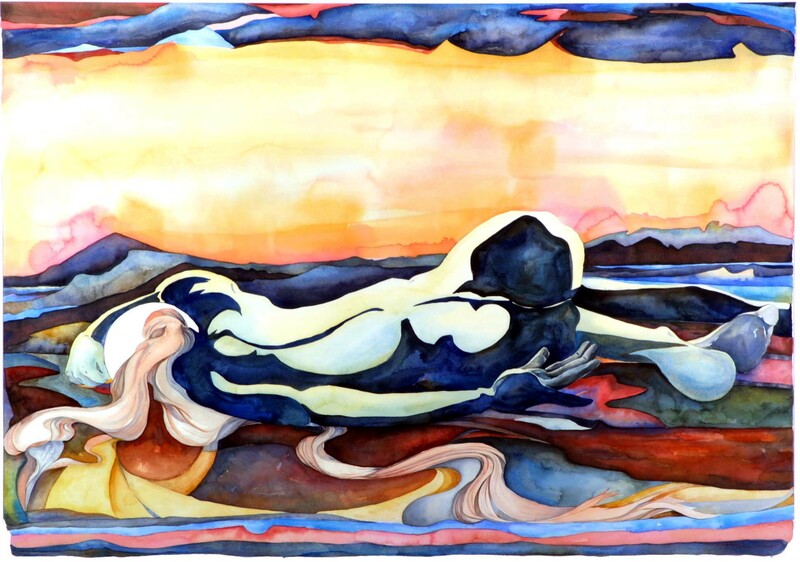 This painting is an image of a woman as the landscape, the metaphor was strong in my mind for several years before I had the nerve to actually paint it. 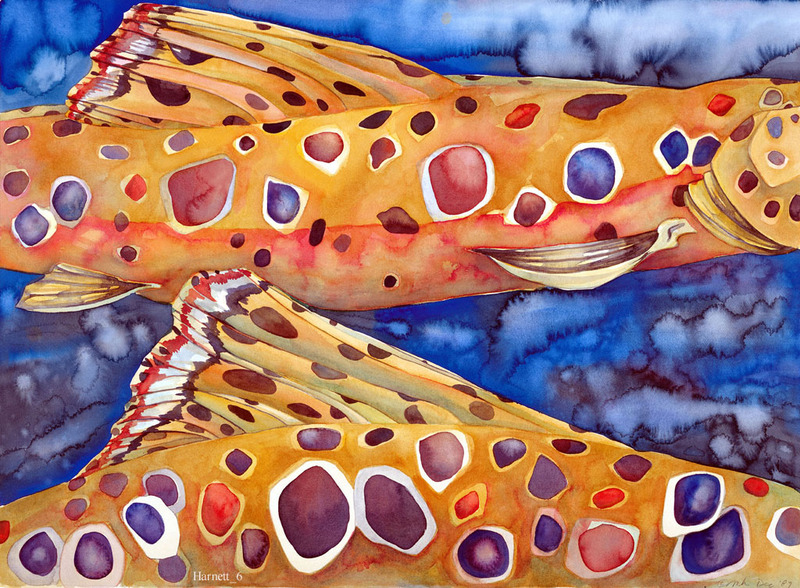 I’ve painted trout for 25 years, inspired by my fly fishing safaris throughout the Western U.S. This one is very popular and people see eyes, smiles, and dreams in it. 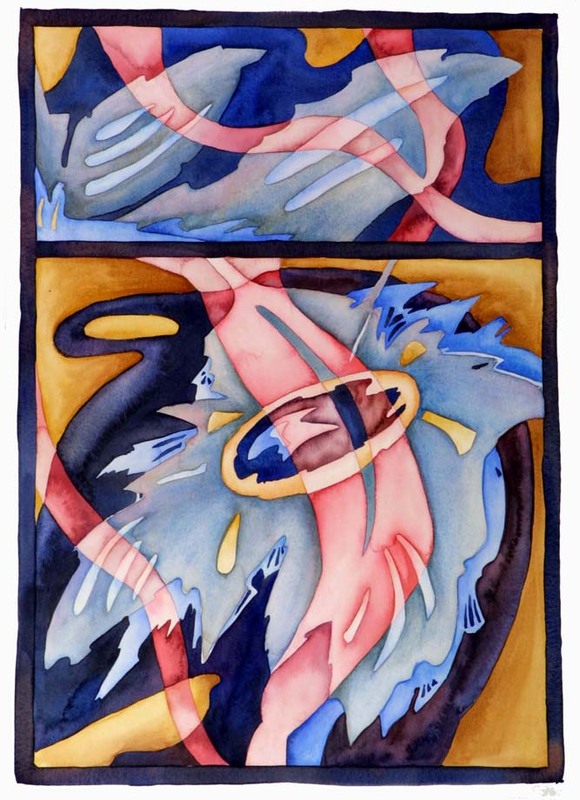 Watercolor on Paper 25″ x 35″ Original $1095 Giclees available in any size. Posters $15.00 or $25.00 framed. This is a composite of the elements of Kiva Floors that I’ve seen in Ancient Puebloan Houses. 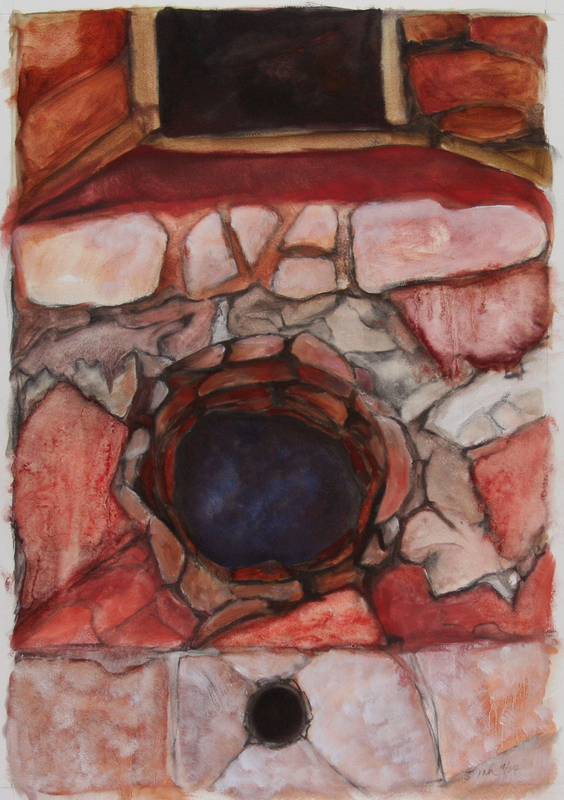 The firepit has center stage in this painting, the vent is above it and the sipapu at the very bottom. The sipapu is where the people came out of the earth and into the world. This entry was posted on May 11, 2011 by Mary Harnett. It was filed under Uncategorized .